Community Discount Card was founded in 1993 by Jim Poyar. Jim participated in a discount card fundraiser for his sons’ AYSO region and thought he could do better. About 25 years later, Community Discount Card has raised over $20 million for thousands of school groups, sports leagues, churches, boy scout groups, individuals, and other groups. We are California’s largest discount card producer and we have cards in about 250 California cities ready for immediate delivery. We work with almost 1000 groups on a yearly basis. 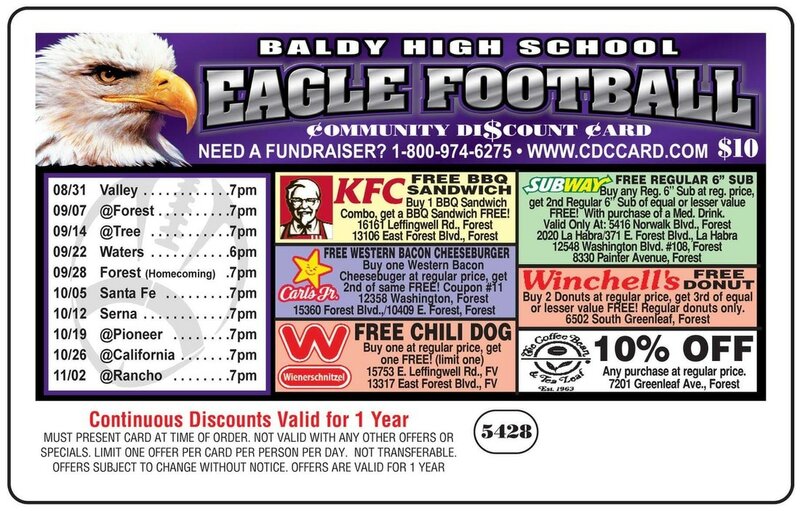 Community Discount Card is committed to helping groups raise the money they need through the sales of our discount cards. We strive to make the highest quality product with more and better discounts than the competition while offering a competitive price to the schools, sports leagues, and the other groups we work with. We try to provide the best customer support possible to make it as easy as possible for the customer to raise as much money as possible.